Speaking today at the PSP Southampton Boat Show, the pair revealed a national contest for 18-24 year olds, regardless of previous sailing experience, to win a crew place for the Pacific Ocean leg on the next edition of the famous Clipper Round the World Yacht Race. “I share the Andrew Simpson Sailing Foundation’s passion for inspiring young people to have life changing experiences through sailing, and I am delighted to be donating this unique adventure,” remarked Sir Robin Knox-Johnston, the first man to ever sail solo, non-stop around the world in 1968/69. Speaking on board one of the Clipper 70 racing yachts, Andrew Simpson Sailing Foundation founder and patron, Sir Ben Ainslie added: “The Clipper Round the World Yacht Race is a real marathon around the globe, and an incredible sporting and personal achievement. The Clipper 2015-16 Race starts next summer and will be the tenth edition of the world’s longest ocean race, also known as one of the toughest endurance challenges on the planet. The only event of its kind in the world for amateur sailors, 40 per cent of crew have never sailed before they sign up. Starting in China and ending in the West Coast of the USA, Leg 6, the Pacific Ocean crossing, is 5,500 miles long and will take approximately one month to complete. At times, the fleet’s closest human neighbours will be the astronauts orbiting above them in the international space station. Crew members will encounter heavy storms and huge waves, as well as the beauty of starry night skies, breath-taking sunsets and rises, as well as the possibility of spotting whales and other varieties of marine wildlife along the journey. Anyone in the UK aged 18-24, can be nominated for the prize. No previous sailing experience is required as full training will be provided. You will just have to provide your reasons for nominating this particular young person to take on the challenge. 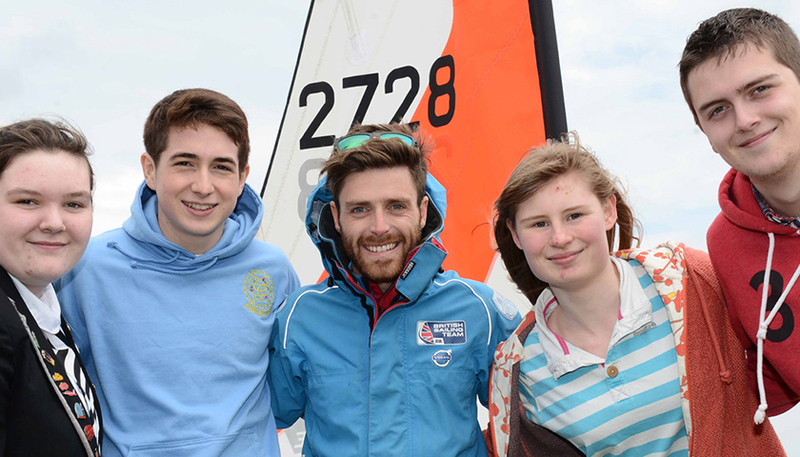 To nominate a young person you think would gain from the Clipper Race experience, download the application form and check the terms and conditions at http://andrewsimpsonfoundation.co.uk/news/. The closing date for nominations is 14 November. A shortlist of five finalists will be announced on 3 December and both Sir Robin Knox-Johnston and Sir Ben Ainslie will be part of the final voting process. The winner must be available for four weeks of training based out of Gosport, Portsmouth Harbour, on the UK south coast, and also the race itself from China to North America which will take place during March-April 2016. To learn more about the Clipper Race, go to www.clipperroundtheworld.com or for the latest news follow us on Twitter @ClipperRace.